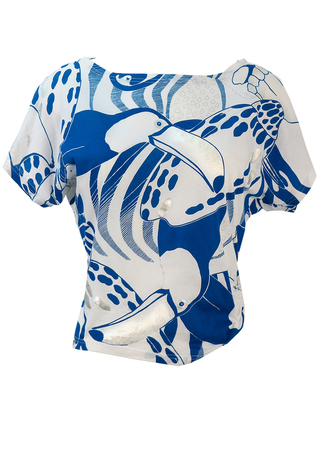 Short sleeve batwing top featuring a striking pattern of large blue toucans with metallic silver highlights featured on their beaks and eyes. The top sits approximately at waist level and cinches in on one side via a concealed hoop that creates lovely gathering around the edges. 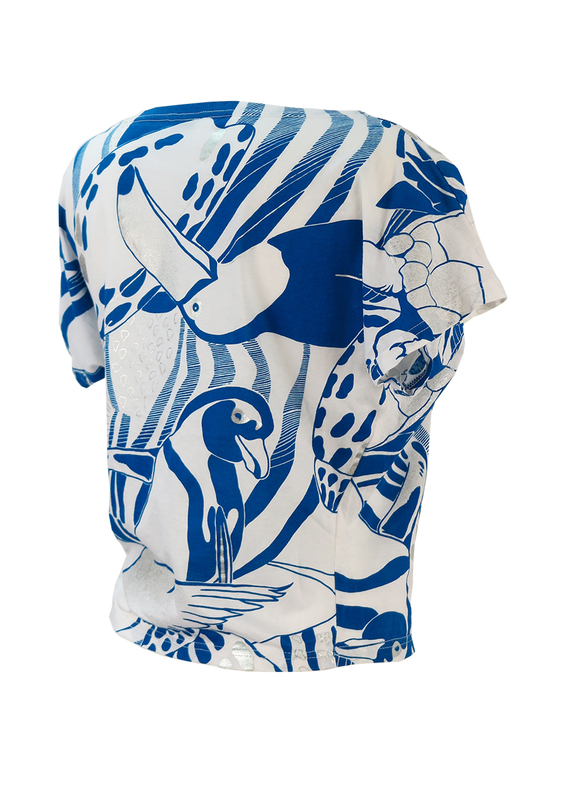 Made from 100% cotton and in excellent condition. In order to obtain a sleeve length (in the absence of a shoulder seam from which to measure) we have measured from the top of the neckline to the bottom hem of the sleeve. 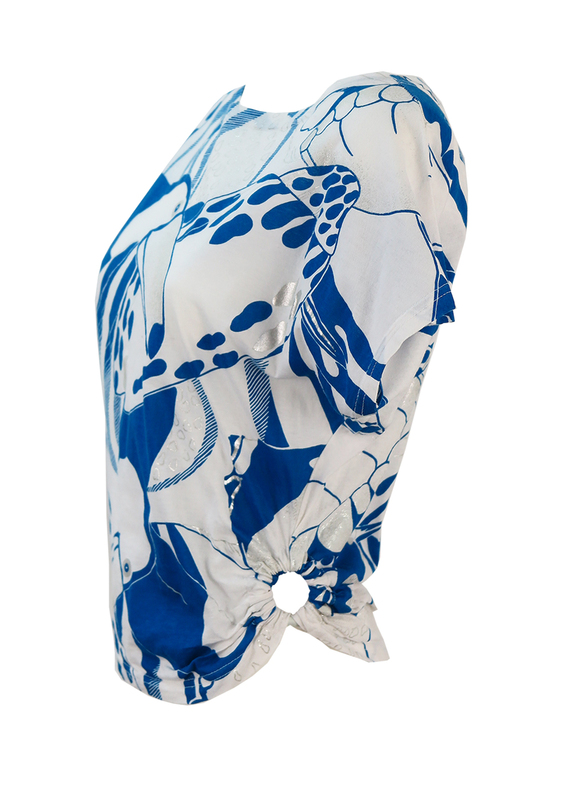 With regard to chest measurement please note that due to the batwing sleeve shape that extends to chest level, the chest width will be wider than that of a standard size M chest measurement. However, the feel that the overall size of the top is a size M.